I took a short hike the other morning. This is looking west to the Adirondacks. 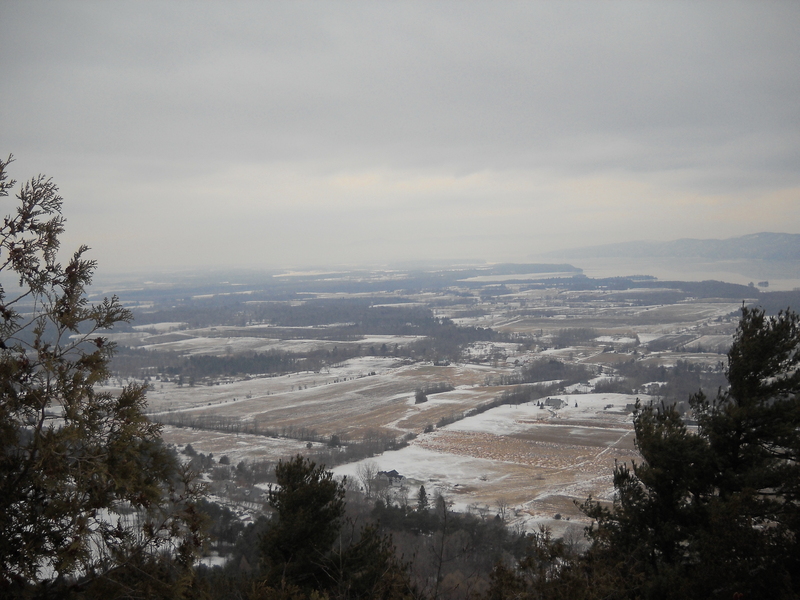 A weird winter indeed; a complete lack of snow and Lake Champlain isn’t frozen over despite the cold temps in January! An addendum to last week’s recipe. I was corrected by my mother that the correct title of the cookies is Coconut Orange Refrigerator Cookies. Duly noted and a correction has been made! A favorite movie of mine from the late 1980s was “Mystic Pizza,” a coming of age story of three young women who worked in a pizza parlor in Mystic, Connecticut. While I always wanted my own pizza parlor days to resemble theirs (it didn’t), it certainly gave me lots of experience making pizza, which I brought back to my kitchen. I usually make my same pizza recipe at home, but it’s always nice to make something different once in a while. You might think a combination of oregano, cilantro, and fennel seeds is odd, but it makes for a flavorful and different sauce than the usual tomato or marinara, especially with the kick of garlic. The local market I go to sells single containers of herbs for just .99, so you won’t have to buy a big bunch of cilantro–unless you want! 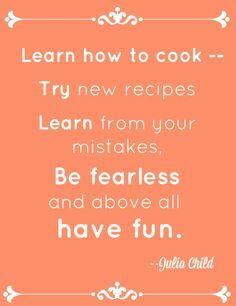 This recipe first appeared in the March 1998 issue of Cooking Light magazine. 1. Lightly spoon flour into dry measuring cups; level with a knife. 2. Dissolve sugar and yeast in warm water in a large bowl; let stand 5 minutes. Add 1 1/4 cups flour, oil, and 1/4 teaspoon salt; stir to form a soft dough. 3. Turn dough out onto a lightly floured surface. Knead until smooth and elastic (about 10 minutes); add enough of remaining flour, 1 tablespoon at a time, to prevent dough from sticking to hands. 4. Place dough in a bowl coated with cooking spray; turn to coat top. Cover; let rise in a warm place (85°), free from drafts, 30 minutes or until doubled in bulk. 6. Punch dough down; roll dough into a 12-inch circle on a lightly floured surface. Place dough on a baking sheet or 12-inch pizza pan coated with cooking spray and sprinkled with cornmeal. Crimp edges of dough to form a rim. Let dough stand, covered, 10 minutes. 7. Place a small saucepan coated with cooking spray over medium heat until hot. Add garlic, and sauté 2 minutes. Add 1/4 teaspoon salt, oregano, cilantro, fennel seeds, pepper, and tomato sauce; reduce heat, and simmer, uncovered, 20 minutes or until mixture is thick, stirring occasionally. 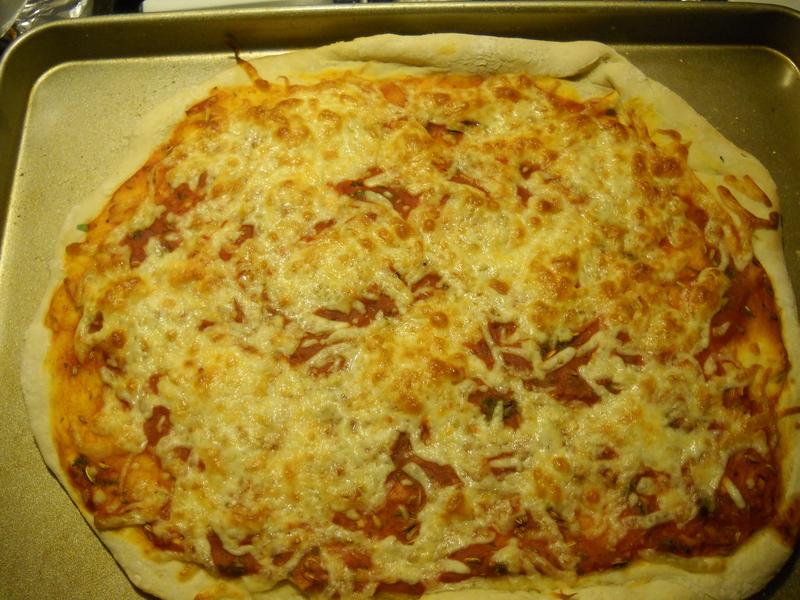 Spread sauce over pizza crust; sprinkle with cheese. Bake at 450° for 10 minutes or until cheese is melted and crust is golden. Remove pizza to cutting board; cut into wedges. Pizza! my staff of life. Looks delicious. When we were married in October, 1987, we drove my maid of honor back to NYC then proceeded up Rte 1 on a camping trip honeymoon. Our first night out of NYC we stopped in Mystic, CT. There was movie being filmed there. The movie came out in October, 1988. We love looking through the film for our car or some sense that we were in it. (We missed by 2 cars).